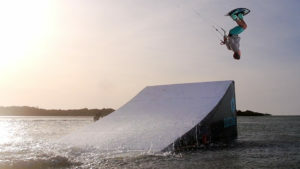 This is something that many people who have never done kitesurfing believe. However, this is not the case as the force with which a kite pulls a kitesurfer is carried by the harness. 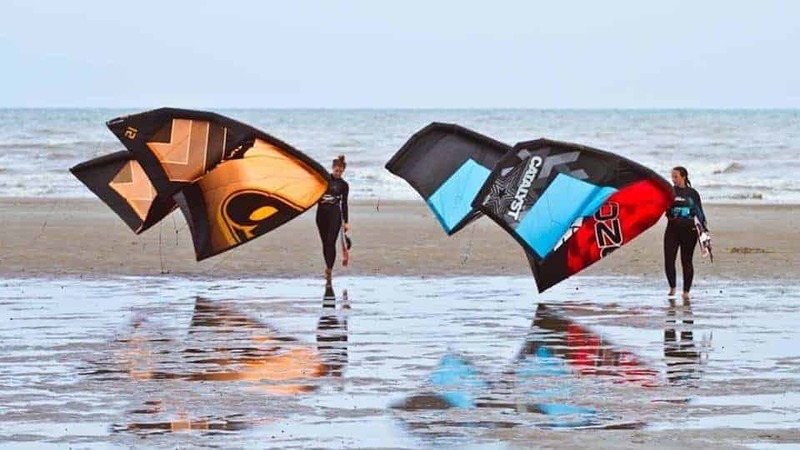 This means that kitesurfing does not require any strength. 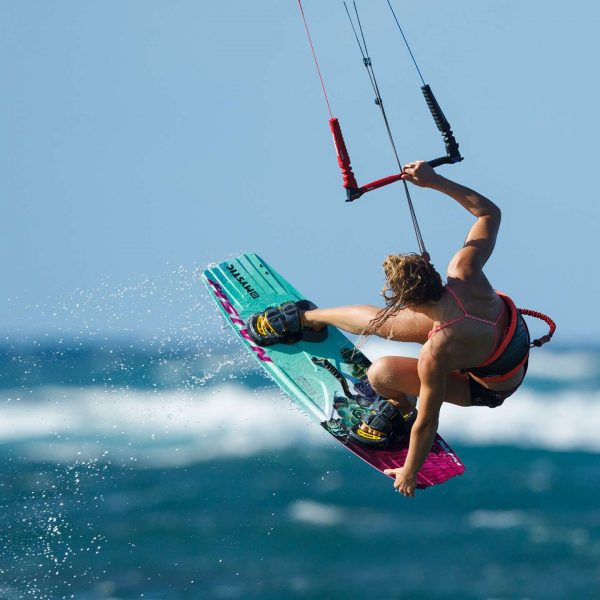 When it comes to kitesurfing, technique is more important than strength and power. 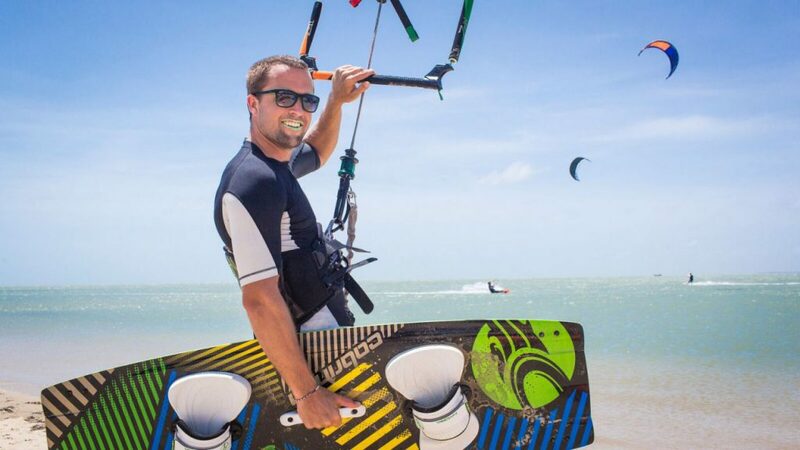 And the good thing is that technique is something you will learn in your kitesurf lessons. 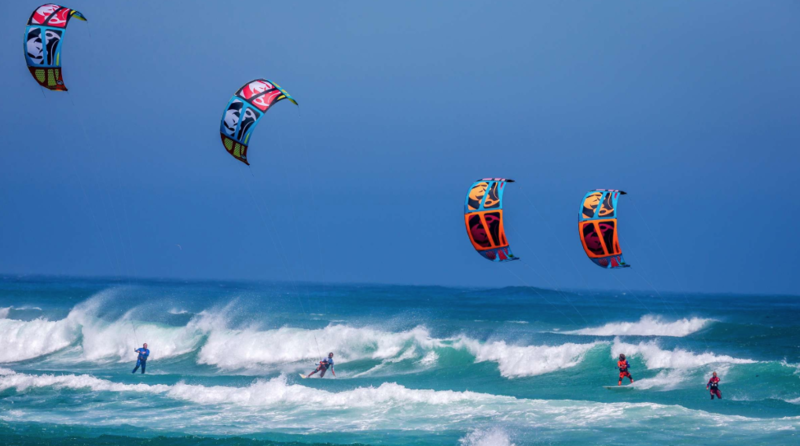 Kitesurfing is often about coordination and not the kitesurfer’s fitness level. Coordination is something you will learn with time. 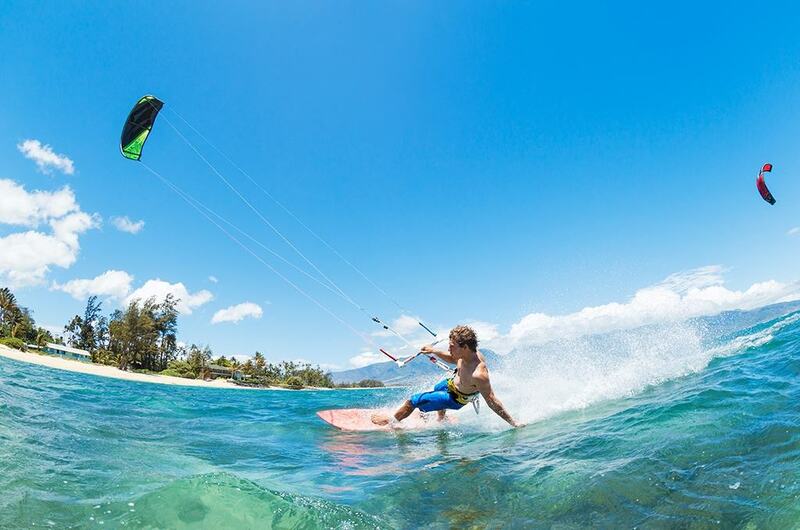 However, keep in mind that kitesurfing is a full body workout and you will be exhausted during your first lessons. The good thing is that your body will quickly adapt as you continue learning and your muscles will be used to the sport after a few sessions. Even though kitesurfing lessons are more expensive than learning other water sports such as surfing, there are some affordable kitesurf packages to suit those on a budget. Just ensure that the place where you will be learning how to kitesurf has a good wind probability for effective learning. 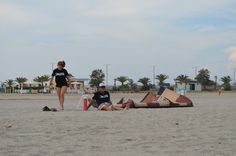 After you have decided to learn how to kitesurf, buy used gear that is in good shape and less than 4 years old. If you would like to buy new gear, purchase the previous year’s model as it is often cheaper than the latest model. 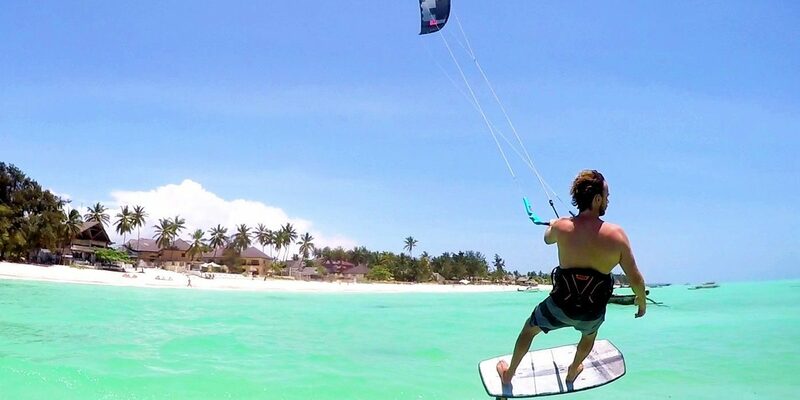 One of the best things about kiting is that you fall into the water. 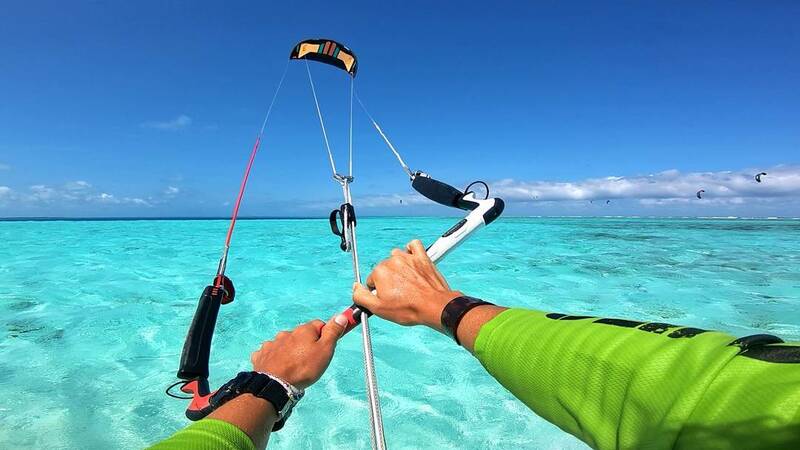 Even though it may not be comfortable to have water in your nose, eyes, ears or any other part of your body, the good thing is that it does not hurt since you are landing softly as the kite will lift you. Falling into water is good provided you do not jump super high. You can enjoy this sport whether you are too heavy or too skinny. 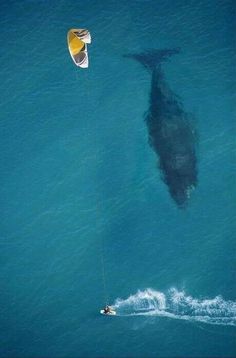 If you believe that you are heavy, a bigger kite and bigger boards will suit your needs as they give you more floatation. On the other hand, those who are light can look for small kites. The safety systems of kites have significantly improved over the last few years. The first safety systems back then were dangerous but nowadays, the safety systems of kites have a high safety standard making them very safe. 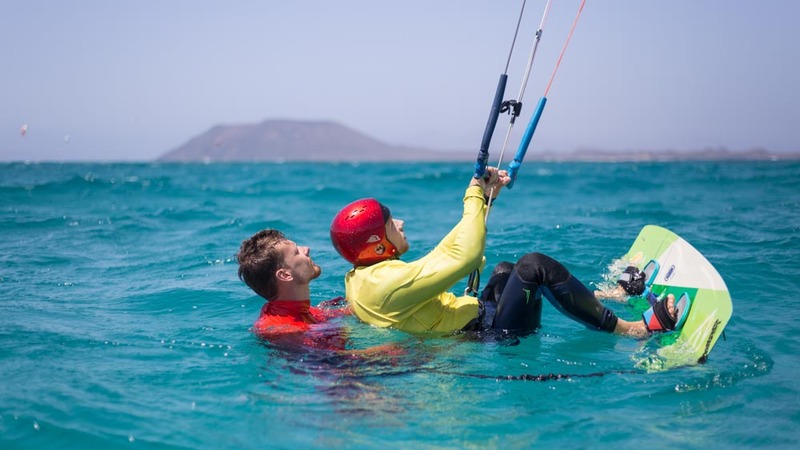 Kitesurf lessons will help you understand the safety systems of your kite and help you know how to deal with risky situations. I agree that kitesurfing can look complicated from the outside as it seems that there are many things to control at the same time. 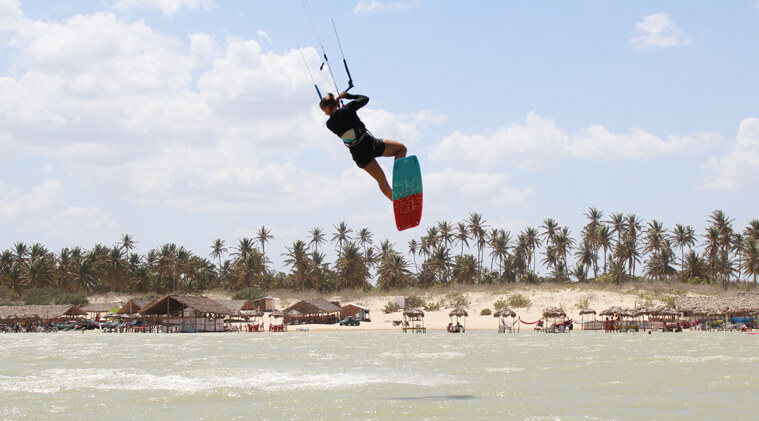 However, the good thing is that kitesurf lessons can enable you to learn the way it should be done and after a while, you will be able to do all these things comfortably. 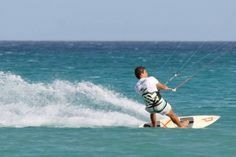 All these things are not as complicated as they seem and there is no need to be worried that you may not be able to know how to control all the things associated with kitesurfing. 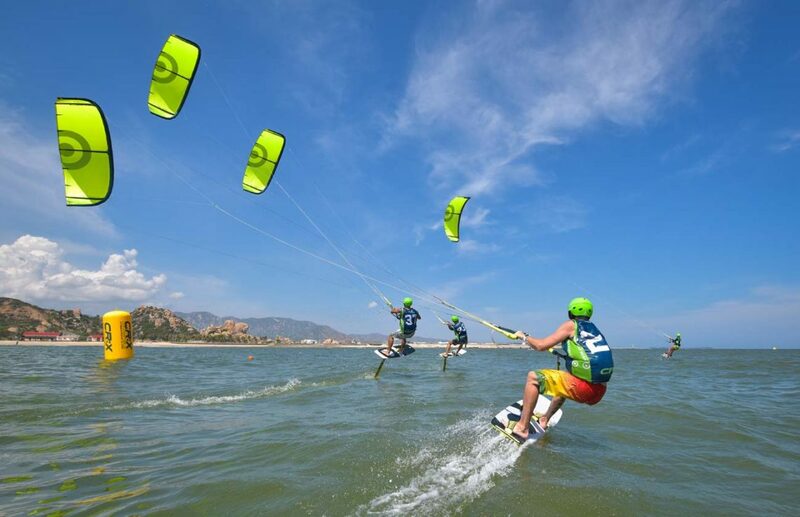 Kitesurfing is a great activity that everyone should try at some point. The problem is that the internet is full of horror videos of people being dragged around the beach or thrown into the air and injured. 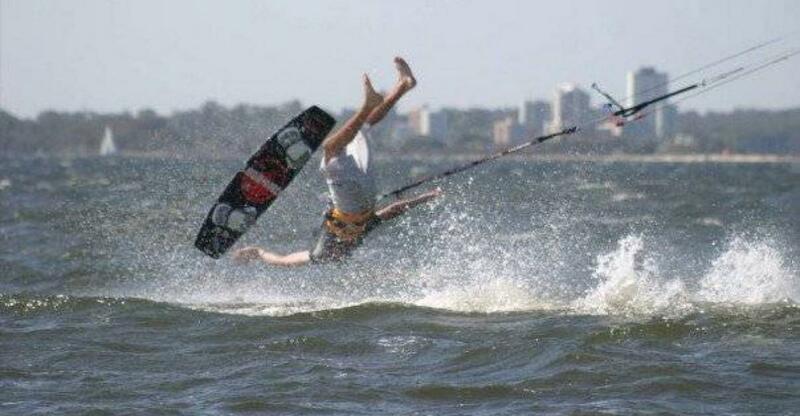 This does not have to be you and you can avoid this by knowing how to stay safe while kitesurfing. 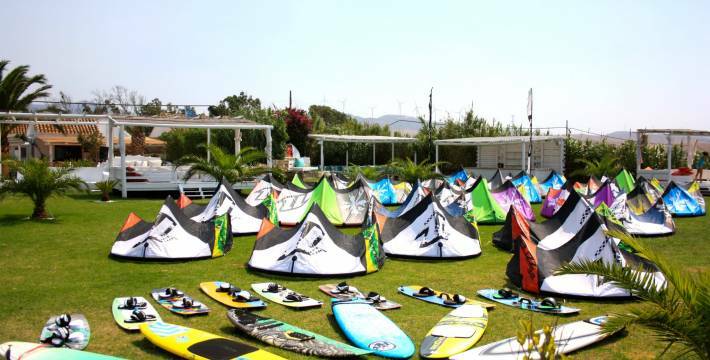 The first step to staying safe while kitesurfing is to choose the right school. If you do not choose the right school, you will not receive the instruction that you need to be safe. The school that you choose needs to have instructors that are certified by organizations such as IKO and KSA. You also need to ensure that the school you choose has up to date equipment. They should also speak a language that you understand. This is very important if you are going to be going to a school while on vacation and not in your home country. Another step to staying safe is to have the right equipment for your skill level. 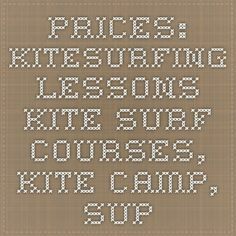 There is no point in getting a C-kite when you are a beginner because it will be harder to control. Each piece of equipment will be designed with a skill level in mind and you need to consider this. If you are a complete beginner, you should look for equipment that is made for this skill level. Online descriptions and reviews will generally give you an idea of the skill level required for the equipment you are looking at. 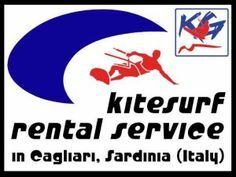 If you are not at home, you should speak to people in the kitesurf store and get recommendations from them. If you are going to buy used equipment, you have to ensure that it is still in good shape. Used equipment will be cheaper and this is attractive to beginners as you will not have to invest as much in a hobby you do not really know. However, the safety systems in place will improve over time and the old piece of equipment that you buy might not be the best one in terms of safety. If you want to be safe while kitesurfing, you need to be in the right frame of mind and body. 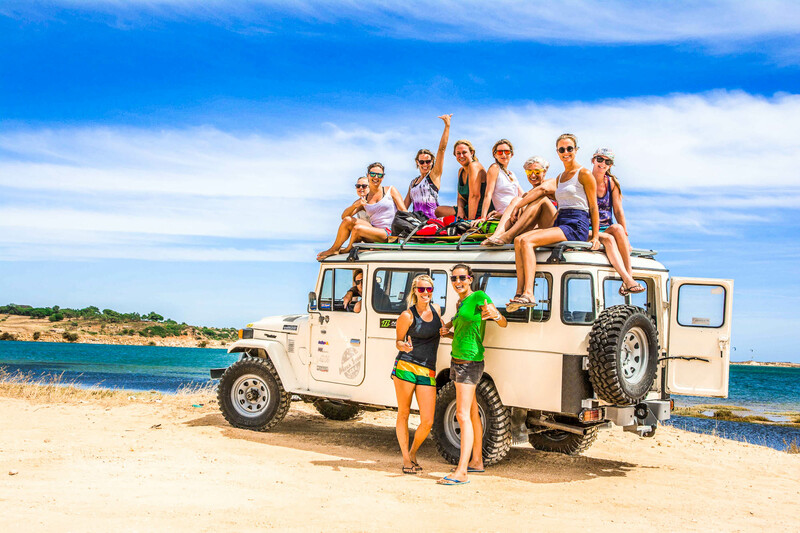 You should not go surfing is you are jet lagged or if you are still feeling the effects of partying the night before. When you do this, you will not be fully aware of your surroundings and this will lead to injuries that could be avoided. 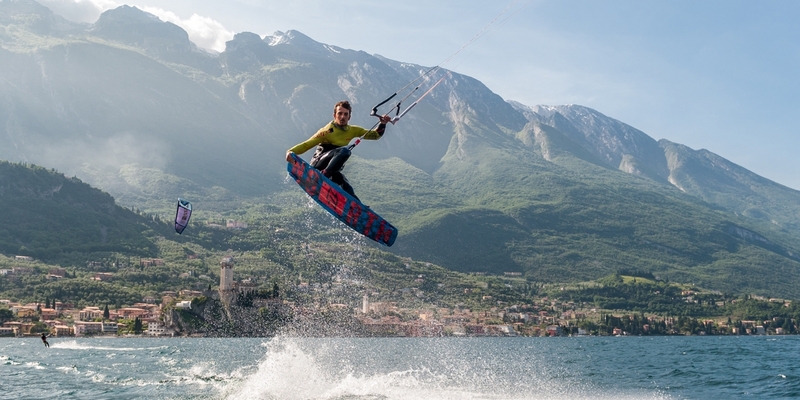 Where you are going to kitesurf is important when it comes to safety. Taking a few minutes to ask other people or the local kite school about the area is vital to your safety. This information will help you navigate the area and ensure that the location is right for your skill level. Some of the information that you need to find out will include the wind conditions as well as the times of day when the wind is up. 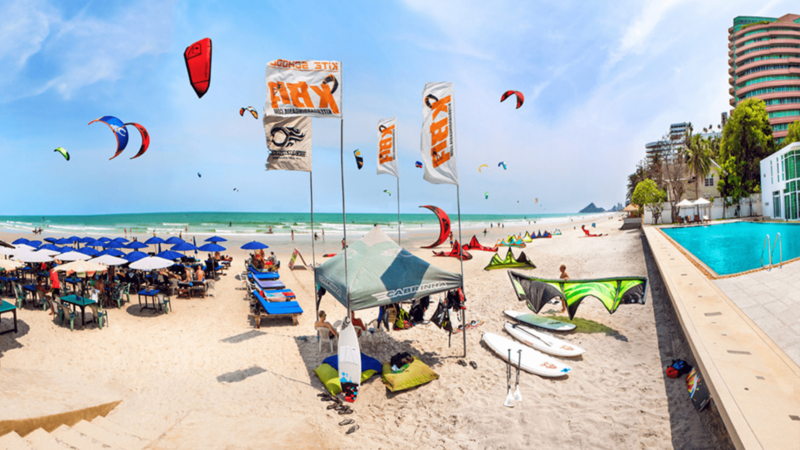 You also need to know if there are specific kite areas and areas that you are not allowed to surf in. You should also find out if there are any areas where the wind drops because of obstacles such as houses. It is also important that you know about any rescue services that operate in the area. While you do not want to think about something going wrong, it is better to have this information ready should something happen. You also need to find out if there is anything special to consider in the location such as reefs or poisonous jellyfish that you need to avoid. Epic session with the Harlem Light 14m by our team rider Victor Looijestijn.